Cary, NC – Every year, there are news stories about the dangers of improperly deep frying Thanksgiving turkeys. Now a new possible trend of cooking the festive bird in a microwave has popped up, to which we say: don’t. By now, you may have heard something about a trend of people cooking their Thanksgiving turkeys in the microwave. For the most horrified among you, you can calm down some because this largely appears to be a joke. This joke started on Twitter, the premise of which is simple: young people text a parent, typically their mom, asking how to cook a full Thanksgiving turkey in a microwave. The mom replies with shock and dismay, the texts are screencapped and shared and readers get a laugh out of it. Cool. However, like any joke and especially a joke on the Internet, some people are taking this seriously or hearing about this viral trend second-hand and deciding to try it out. So if you are thinking about cooking your turkey in the microwave, let FoodCary step in and say, don’t. 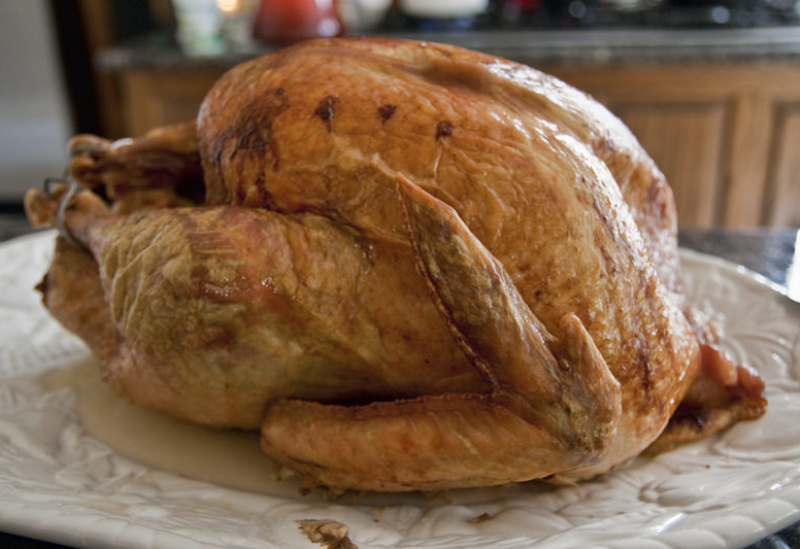 For one, a microwave is not going to cook your bird evenly, especially if it’s a full 25 pound Thanksgiving turkey. Even for a turkey half that size, you are going to be turning it and checking up on it regularly to get it even decently cooked. Also, if you try microwave thawing it before cooking, you are going to end up with an even more irregularly cooked bird. Also, considering the USDA has a warning out about salmonella in turkey and tens of thousands of pounds of raw ground turkey are being recalled from stores right now, you will want to be as certain as possible about your cooking methods this year. Using a microwave is also going to inhibit your ability to baste or put your turkey in with vegetables to spread the flavor around. You can’t do much of anything with a microwave turkey other than cook it plainly and the end result is going to be a drier-than-usual turkey that is probably not cooked evenly. So please, for the sake of you and your dinner guests, don’t cook your turkey in a microwave this Thanksgiving. Also, as a side note, there’s no law that says you have to have turkey on Thanksgiving. Try a Peking duck. Very delicious and very succulent. Story by Michael Papich. Photos by Kristie Moser.